Have you ever thought about starting your own podcast? I know I definitely have so I tracked down Steve who is a new podcaster to pick his brains. Keep reading for my interview with Steve Mellor. Steve Mellor is a North West English Lad turned Deep South American Swim Coach at Louisiana State University. Through detailed and personal interviews, his podcast Career Competitor aims to shed light on the traits that are found and evolve through high-level sport participation that remain relevant in the pursuit of success in careers outside of sport. Furthermore, from listening to real life accounts of successful professionals, listeners will be provoked to reflect on their greatest personality traits and inspired to apply them within their careers. Hi Steve and welcome to Hobbyism! Being born and bred in North West England myself, to say I am jealous of your move to South America would be an understatement. How did you make that decision and what’s the grass like on the other side? First off, thank you so much for reaching out and having me on Hobbyism, Sarah. This is such a great thing you are doing here and an awesome platform for people like me venturing into a new area! The decision to move out here came through my participation in Elite level swimming when I was offered an athletics scholarship to move in 2005 by North Carolina State University where I spent 4 years competing in swimming while I earned my degree in Communication Media. I then stayed there for 2 more years as I pursued a Masters Degree in Sports management and during this time I actually coached the swim team in an Assistant role. I moved to the most Southern part of the United States in July of 2012 and I have made it my home now in Baton Rouge, Louisiana where I am a full time swimming coach for Louisiana State University. The way of life here is extremely welcoming and relaxed as people really enjoy getting to know one another and make time for each other, the weather is also gorgeous most of the year which is definitely something I appreciate! Moving onto your podcast, what inspired you to start your own podcast and how did you decide on a topic? So my first love in life when I was a child was to perform for people, for as long as I can remember I have always been confident in front of an audience and it has a little to do with why I pursued coaching as a career as I am communicating every minute of the day to some sort of an audience, and i get immediate feedback on how I am doing (not always positive!). Anyway, with my degree being in Media I have always wanted to have more of a media outlet within my life and I was told by a few people in the past few months that podcasting would be right up my alley, and it just so happened I love podcasts too. Once I decided that I wanted to pursue the idea of a podcast I asked around those in my daily life and it became obvious to me that I should find a way to incorporate sports into the podcast, but make it more about the people as opposed to the athlete. So I landed on “Career Competitor” which is a show based around getting to know former athletes and how they are pursuing success in a world outside of athletics in their current career, but still relying upon the athletic qualities that allowed to be successful within sport at one time. For anyone reading this who would like to start their own podcast. What is the process you go through when making a new episode and what is your go to editing program? For anyone wanting to pursue podcasting, I suggest you research 2 or 3 people that have a successful platform for a show and website based around podcasting already. It is so important to learn from those already with success in this area, especially with me being someone who is far from tech savvy, I knew nothing about editing, recording, etc. The first thing I do is list just 3-4 questions for the person I am interviewing, let them think about answers & possible dialogue for a couple of days, then schedule a time to interview them over facetime or Skype using a recording software. I upload the recording then to Garageband on my Mac and then that is when the true work begins as I am slowly learning more efficient ways to cut out and improve upon parts of the interview. I then bookend the interview with an intro and a summary message, and finally I bought the rights to a song that I can use within the show just to give it more of a professional feel. Mirroring the question you ask your guests, what trait from your career as a coach helps you when making your podcast? What advice would you give to anyone who also wanted to start this as hobby? 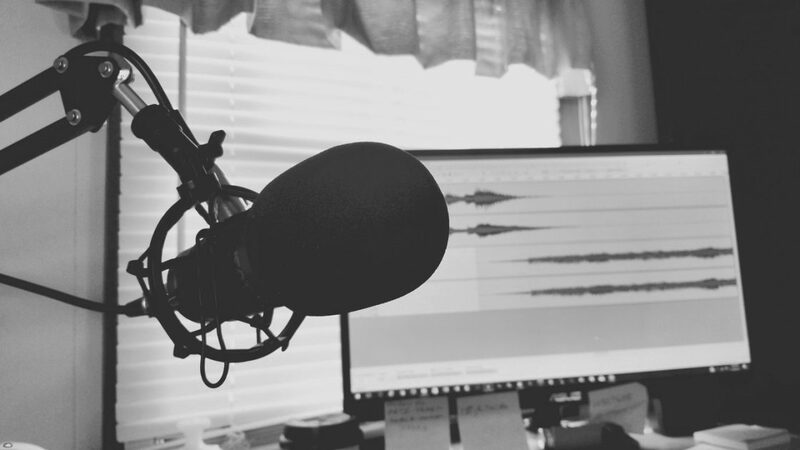 At the moment, your podcast is purely a hobby but would you ever pursue this full time if it gained traction? I don’t know if I would ever make this my “full-time” commitment because I am blessed to be able to do a job currently that I love and provides great fulfillment. But I am a naturally competitive person so for me I want this to reach its optimal level. I think I can attract sponsors and advertising and maybe even begin to work with someone that is more capable on the production side of things where I can get assistance and expand the idea with segments for the show, spin offs, and hopefully attract highly successful and interesting guests! Thank you for agreeing to be on Hobbyism and congrats on getting your podcast off the ground. Thanks, Sarah I really appreciate you reaching out and having me on! I hope my interview with Steve Mellor inspired you to start your own podcast. If you would like to listen to Career Competitor podcast it’s available on iTunes or you can find it here if you don’t have iTunes. I would love to hear about your hobby; check out all of the details here.